By now regular (and cherished) readers will have got the message that I am a) animal-mad, b) a bit of a nutrition geek, c) have a thing for tofu. I am also rather fond of big flavours – clashing, bold, in-your-face tastes and aromas. Maybe it’s because my eyesight is a bit poor, and my hearing isn’t too far behind, but I can’t be doing with too many bland or one-note foods. Although I do graze from the fruit bowl and pick through the nut jar, I truly have a hard time sitting down and eating, say, a banana – I want it sliced and sprinkled with cardamom. I must be a latent sensationalist, and instead of kite-surfing or gambling I find my thrills with food. But not in a quantitative, all-you-can-eat kind of way (well, not usually); for me it’s about the sensuous meeting of taste, smell, texture, sight and even touch. Think of how much nicer it is to eat corn from a cob, dripping with real butter, than to chase the kernels around your plate with a fork. Or appreciating the pop and sizzle of a stir-fry – the hot smell of ginger and garlic taking over your kitchen, your house. Many a fully-booked Malaysian and Korean restaurant says that I am not alone in my love of big flavours. I suspect that you have such leanings too. I do eat unadorned, as-nature-intended food – a perfectly ripe peach is heaven sent – but normally I’d rather add a texture or a spice to liven things up or create a different dimension. My poor family are constantly hit with a barrage of spices and herbs, competing textures and unexpected wafts from sneakily lifted lids. I’m sure that on the blue-moon occasion that I am away for the night, they gleefully tuck into baked beans on toast or a bowl of contraband Angel Delight (butterscotch flavour), but they are very tolerant of my love affair with food in all of its crazy combinations. Luckily they are usually with me all the way so my inventions and tweaks get a proper, critical airing. Today’s recipe got a very warm reception when it debuted in our house last year. And it’s not just because of the pulse of fragrant heat in every bite. I have previously spoken of my admiration for the London chef Yotam Ottolenghi. His ‘med-east’ recipes and combinations are right up my street/pantry, and I take inspiration from his daring and up-front flavour combinations. Whenever I am afforded the luxury of a cookbook-testing Saturday, this is the book I most often reach for. I can spend hours caught up in customising and playing around with his recipes. This one is a case in point. I was fairly blown away by the Black Pepper Tofu recipe from Ottolenghi’s acclaimed book Plenty. But, it would probably be too punchy for many tastes – 8 chillies, 12 garlic cloves and 5 tbsp of pepper, and much too high in fat and salt to be healthy – however delicious. So, in this homage, I’ve toned down these elements while at the same time ramping up the fibre and vegetable content with glistening aubergines and earthy shiitakes. Although, like a lot of Asian-style recipes preparation is key, this recipe is super easy to make, and tastes sublime with turmeric-scented baked basmati rice and a side of steamed Savoy cabbage. I find the salty, sweet, tart and hot buttons are well and truly pushed with this recipe. See what you think. Incidentally the sharp-eyed among you will have noticed that the photos don’t include the aubergines and mushrooms. This is because they were taken pre-vegetable dabbling, and because I accidentally got the light just right (I have no idea what I am doing most of the time) I didn’t reshoot my veg-stuffed version. And I didn’t realise they were absent until I started writing this today. Oops. The aubergine and shiitake are gorgeous in it, so don’t be tempted to leave them out. If you want to know some nutrition facts on tofu/soybean curd, have a look at my recipe for Tofu and Aubergine Lime-Basil Curry (where I promise the recipe you are getting today) and at The World’s Healthiest Foods website. Breastcancer.org gives an objective overview of soy for breast cancer survivors. And, to make perfectly cooked rice, have a gander at this recipe for Turmeric and Lime Salmon with Baked Lime-scented Rice. For both recipes you need – as always – to wade past my chat, but the rice tip is especially worth noting. If I mention to friends that I am having tofu for dinner, more often that not I hear something along the lines of , “Ew, tofu, it’s so bland.” A bit harsh, but my friends do have a point. Tofu is one of those ingredients that definitely needs a bit of help. Sure, it is low in fat, high in isoflavones, is a complete vegetarian protein and fortified with calcium, but it doesn’t taste of much. To me that is actually a virtue. How’s that, you ask? Well, its perfect blandness, as well as its porosity (I’m really selling it, aren’t I? ), means that it readily soaks up marinades and spices like no other protein. It doesn’t assert itself and is happy to be the vehicle for more muscular flavours. We like it so much much that Miss R has alway known that ‘the word ‘Tuesday’ is always preceded by the word ‘tofu’. I’m constantly on the lookout for great tasting tofu recipes and here I have adapted a Yotam Ottelenghi recipe that stars this much-maligned ingredient. It is super easy to prepare, healthy and tastes sublime with turmeric scented basmati rice and steamed Savoy cabbage. Nerdy fact: turmeric and black pepper are potent phytochemical partners. Slick a baking tray with ½ tbsp of oil and place in a 200C oven while you prepare the tofu pieces. Pour four tablespoons of corn flour into a plastic bag, along with ½ of the crushed peppercorns. 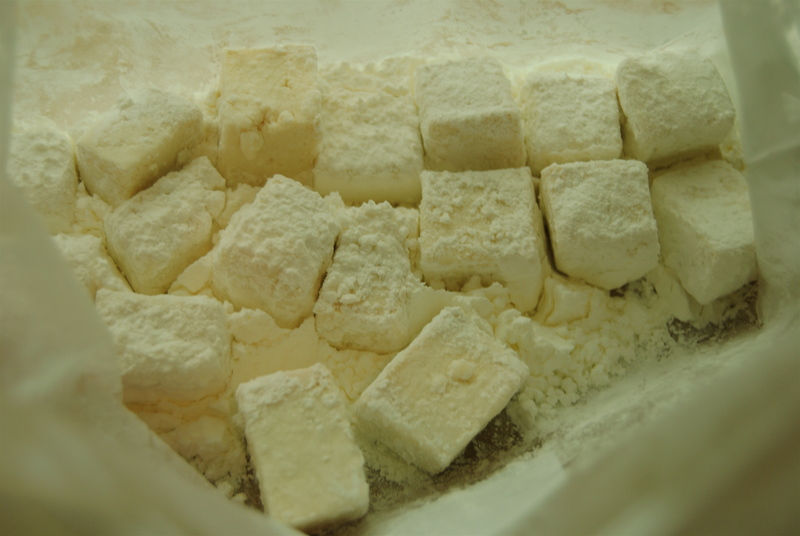 Cut the tofu into 3 x 2 cm pieces and add half of them to the bag, close the bag tightly and gently shake to coat the tofu. Remove the tofu, tap off the excess corn flour and place onto a plate while you coat the rest of the tofu. Pop the tofu onto the heated tray and bake for 15 minutes, turning the pieces over after 10 minutes. After you have coated the tofu, toss the aubergine slices in one tablespoon of oil and arrange them on another baking tray; bake for 15 minutes, until softened and starting to colour. Oh, now that’s lovely! Thanks for sharing, definitely one for the must cook list. It’s a bit different, but hopefully in common with all my recipes, super easy. I hope it’s a great way to show that tofu doesn’t have to be boring. Thanks for commenting, Lizzy. Love your blog’s breakfast idea – never thought of ricotta as a breakfast item! I still have a bowl of gorgeous Turkish figs and and unopened tub of ricotta, so I know what’s for breakfast tomorrow. YUM, this is exactly up my alley… will be making this soon, thanks! Thanks Angela. Ottolenghi recipes always work for me but sometimes I like to tone down some of the more exuberant ones, such as this one. Well this solves a problem for me – I think the packaging around Clearspring’s Organic tofu is utterly sublime, so much so I physically can’t walk past the tactile little “firm & silken” cartons in the supermarket without popping one in my trolley. As you can imagine, my store cupboard is filling up so I am eternally grateful for a fab looking recipe so I can start using my stash! Hi Niki. I must say I’ve not particularly noticed the packaging, but I will clock it next I am at the store. I have never used ‘ambient’/UHT tofu in this recipe so don’t know how it will be for you. I think it might not be firm enough (although it says firm) but I would love to know if it works. 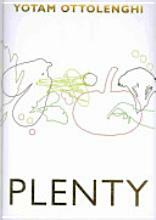 Long life tofu is a great storecupboard food that I add to miso soup, dressings and to make chocolate mousse with. Another use would let it really earn its keep. I’m so excited about this, I must admit to being a tofu near- virgin. Which is odd seeing as I’ve been vegetarian for 25 years but I have always been disappointed and so avoid it like the plague. 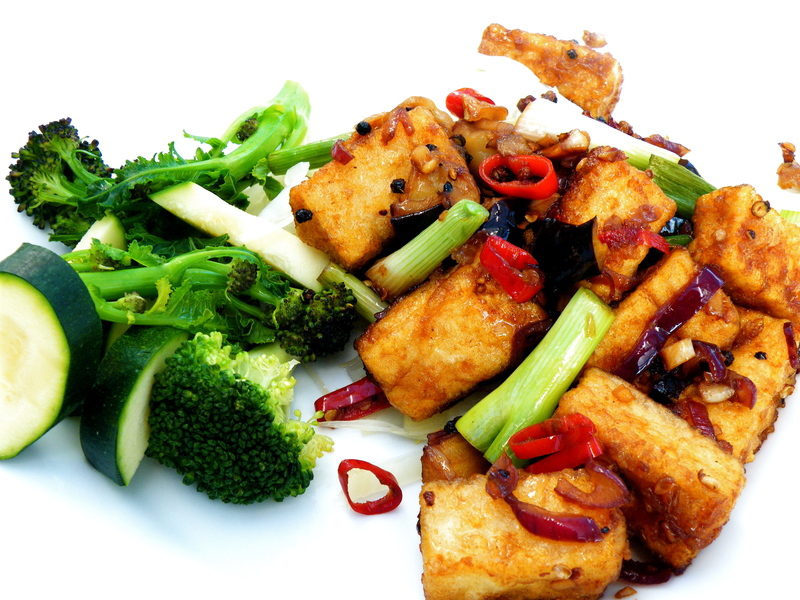 Having recently been given a vegan cookbook to review I went out and bought some tofu as it was in everything. I also love Ottolenghi too much and have just bought some Sichuan peppercorns which I think would be amazing in this, I’m waffling I can’t help it!! Your Sichaun peppercorns will be perfect. I have a like-hate relationship with them, but I adore Vietnamese peppercorns – same nip and fruitiness but without the numbing thing. Maybe I am just particularly sensitive to them. Anyway, I’m glad you are giving tofu more of a go. So useful and a fantastic carrier for flavours. 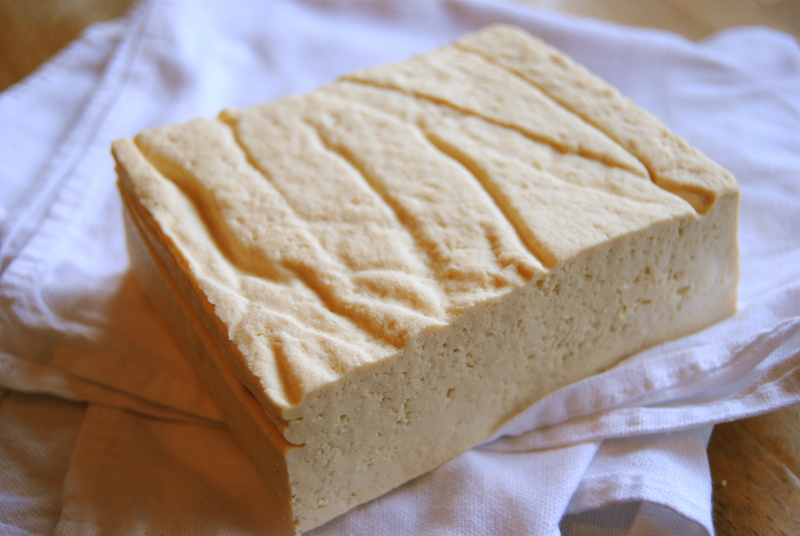 I almost always cube and bake the tofu before adding to whatever recipe I’m doing, otherwise it tends to fall apart or be a bit too soft for our liking. It is also fantastic as a base for dressings too, and I make a pretty decent vegan chocolate mousse with it (I wrote a recipe for Hive Health Media website). Let me know how you get on with the recipe! Sold ~ you have sold me tofu and I am not a lover normally ~ my friends in Canada can get tofu spaghetti, have you seen it? Looks fab and like you I LOVE big and bold flavours! Yay! Another tofu convert!. Brilliant for us ladies after a certain age (as long as not being treated for estrogen+ breast cancer). And, no I haven’t heard of tofu spaghetti but I’m flying to Florida tomorrow to visit family so I will have a look for it. My niece just got a weekend job at a health food store so I will quiz her about this (and try and get a discount…). Any other tips from your Canadian friends? Mr A suggested I have a look at this – I’ll let him tell you what my opinion of Tofu is (apologies in advance of him telling you) and I’ve managed to read the whole recipe. Now, I do have to admit that he was correct, in theory it sounds really tasty but in practice I just don’t think I could face it. So my question of the day is can the Tofu be replaced with something else? Maybe a fish of some kind? I have yet to get my family to love tofu as much as I do. Maybe this recipe will convince them. I really like the bold flavors. 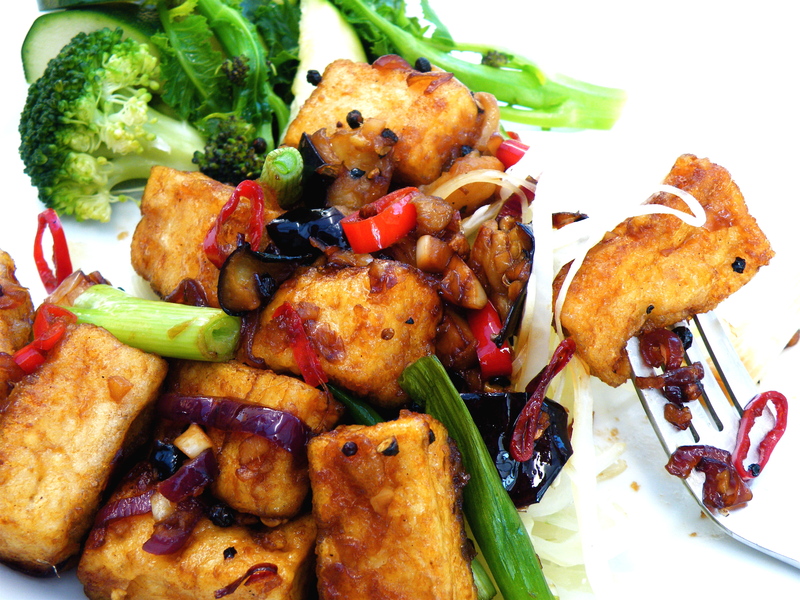 Tofu is probably the trickiest ingredient (right up there with liver) to get families to try, so good luck with that! I’m glad you approve though. This is perfect! I have made the black pepper tofu from Plenty and found it way too rich. The 5 Tbsp of black peppercorns was a bit bonkers, but it was the fat and sugar that put it over the top and we, sadly, had to dispose of the leftovers. This version looks much more reasonable, and now I’m excited about trying it out again. I’m so glad you’ve posted it here! I know! The original one was over the top (bonkers is good description) but I loved the idea of it so thought a little tinkering could sort it out. I think it works – well we like it – but I would really appreciate your feedback if you decide to make it. I am such a rubbish pinner and PInterest-er but I will try and find you and follow your boards. I really hope my Ottolenghi redux works for you, but use your instinct with it re the amount of oil or liquid (it verges on the dry side, which we like but other may not). I just wanted to let you know that I made this for dinner tonight, and it was absolutely delicious! Thanks so much for sharing the recipe!